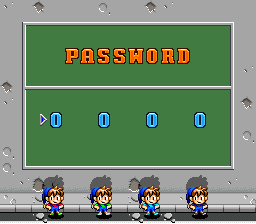 Milon from Milon's Secret Castle (another Hudson title of the NES era) makes an appearance on the password screen. He would later return as a playable multi-player character in Hi-Ten Bomberman and Saturn Bomberman. Screenshots can be found on this page!